The rivers will run red this season when you wear out scary Kurten mask! This horrifying vampire is out for blood and when you put on the mask, you will too. 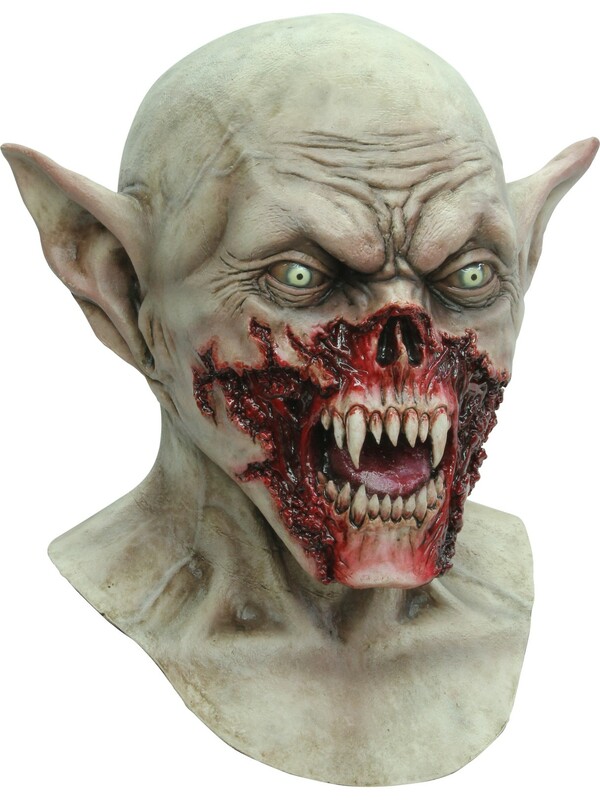 Featuring all the detail you’d expect from an evil vampire, the sheer detail and design of this mask is the perfect way to celebrate the scariest holiday of the year. With a wide bloodied mouth, your friends and family will think you’re coming for them next, and maybe you are! Pair up this great costume with any number of disguises you can think of but make sure to show off those pearly whites!